How was your Monday? A little rough from the Daylight Savings time change? Some people get all bent out of shape because of the “loss” of one hour, but it doesn’t really bother me much. I love the extended daylight too much to care about it. 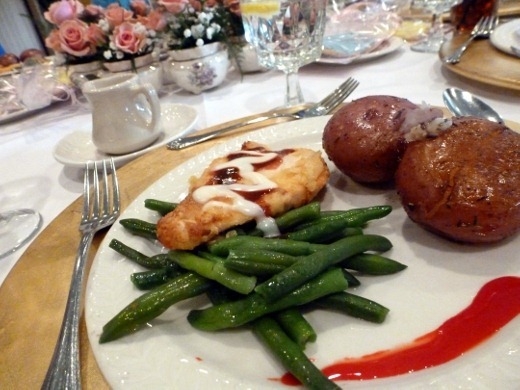 Lunch was provided, including green beans, rosemary redskins, and a breaded chicken filet with a sweet raspberry sauce, preceded by a garden salad. (And coffee. Lots of coffee!) The chicken was my fave – nice and crispy on the outside, and tender and hot inside. For dessert, homemade cupcakes baked by my aunt and decorated by a family friend. Such talent – how beautiful is this cupcake? 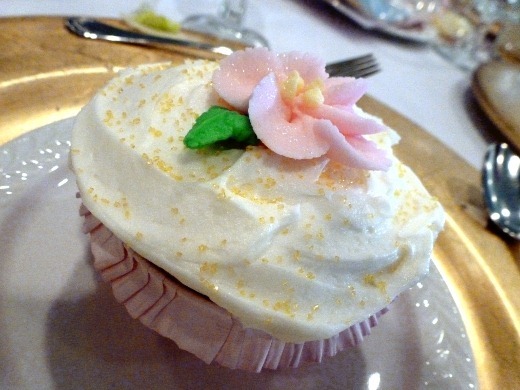 The lemon cream cheese frosting was amazing. After dessert, the mama-to-be opened all of her gifts – lots of oohing and ahhing over adorbs PINK baby apparel. 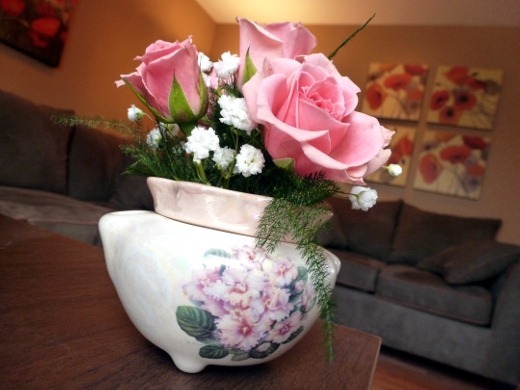 As a favor, we each got to take home a little vase filled with (live) pink roses. A hint of spring in my house! 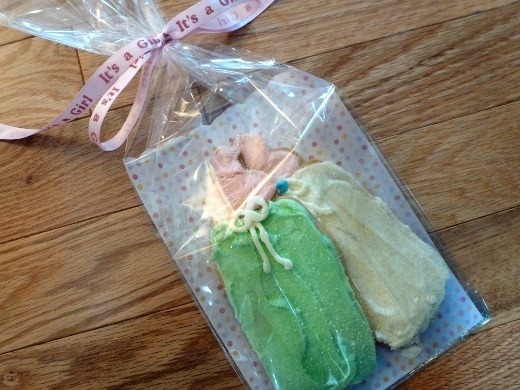 Oh, and another favor: sugar cookies. Huz and I were raving over these. In the evening, after my drive back to Ann Arbor, we had a quick and easy DiBella’s dinner. 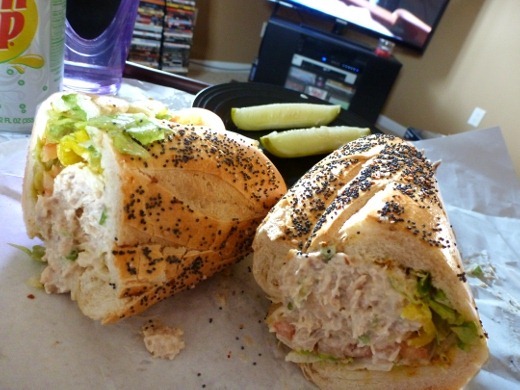 I tried DiBella’s Albacore Tuna Sub and loved it. It was HUGE – I could only eat half of a medium for dinner, and ate the rest for lunch on Monday. Tornado Watch in many places in Michigan tonight – careful! Hi Denise – thanks for your comment! It was my pleasure to assist and thanks for a nice afternoon! I’m glad you were able to enjoy them and I’m sure everyone would have loved to have you there. 🙂 Hope you’re doin’ well!